Tim Noble, Stroud, 1966 & Sue Webster Leicester, 1967. United by their fascination with the mechanics of the media and advertising industries, and by the notion of the young British artist as celebrity. They employ a wide variety of visual styles, combining and confusing the spectacular and the mundane in a manner best described as consistently inconsistent. 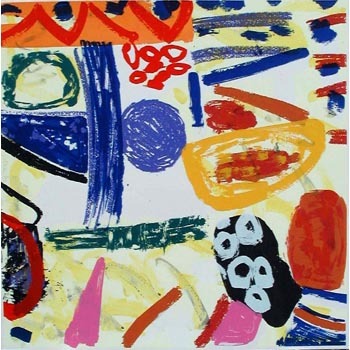 Noble and Webster had their first two-person exhibition at the Independent Art Space, London in 1996. Its title, 'British Rubbish', made clear the pair's determination to tackle head on the stereotypes and hyperbole generated by and around the 'Sensation' generation of young British artists collected by Charles Saatchi. They set out to test the boundaries of the club to which they nominally belonged, questioning the lazy nationalistic and self-congratulatory attitudes upon which it was constructed. 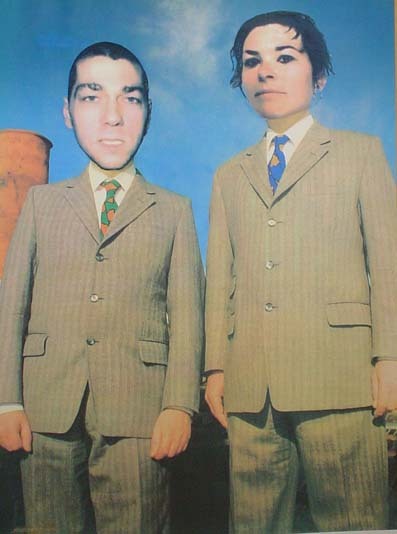 In their 1994 fly-poster, The Simple Solution, Noble and Webster had collaged their own faces onto the trademark be suited bodies of Gilbert and George, grandes dames of the British art world. 'British Rubbish' displayed the same irreverent spirit but, in the wake of much-reported survey exhibitions such as 'Brilliant: New Art from London' at the Walker Art Centre, Minneapolis, took the critique a stage further. Overall size: 70 x 100.0 cm.